This was a memorable morning and the culmination of a great deal of observation and homework. I had worked with the same lion pride in Amboseli for four mornings, but the hurried placing of remotes at sunrise is a low-percentage and dangerous pursuit near lions. After some unsuccessful mornings, we covered the camera casing in Old Spice stick aftershave, as my guide knew that lions were attracted by that smell (the local Masai and indeed colonialists have worn it for years). 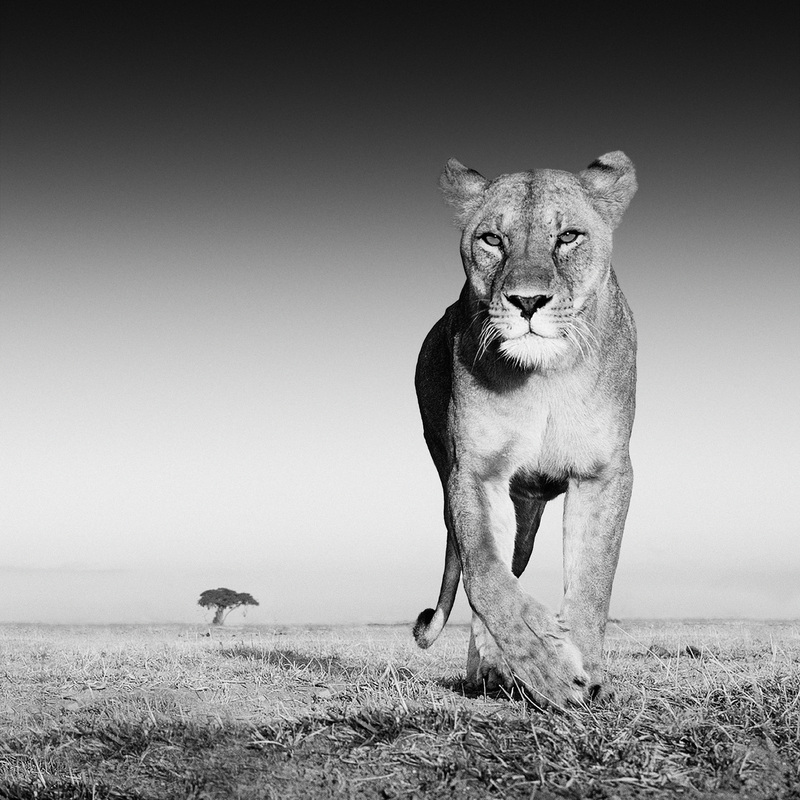 It worked, and the lioness came straight towards the camera against a clean backdrop. The image is best printed at this 46″ size, simply because I used a wide-angle lens and the resultant file crop is not immaterial. Amboseli is not a studio – indeed, a second after this image was captured, the lioness took the camera casing in her mouth and walked 700 yards into the bush. I was emotionally exhausted and it was only just after 7 am.